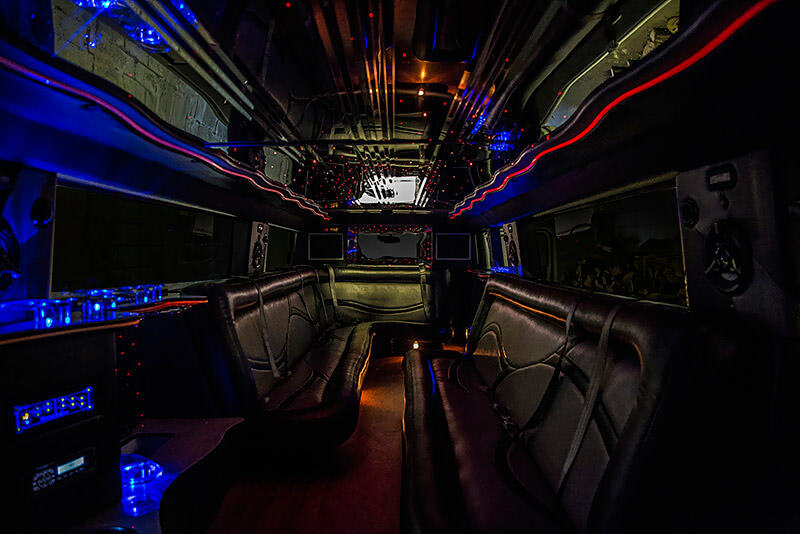 Our H2 Hummer Limousine is definitely a testament to vehicles being both stylish and functional. 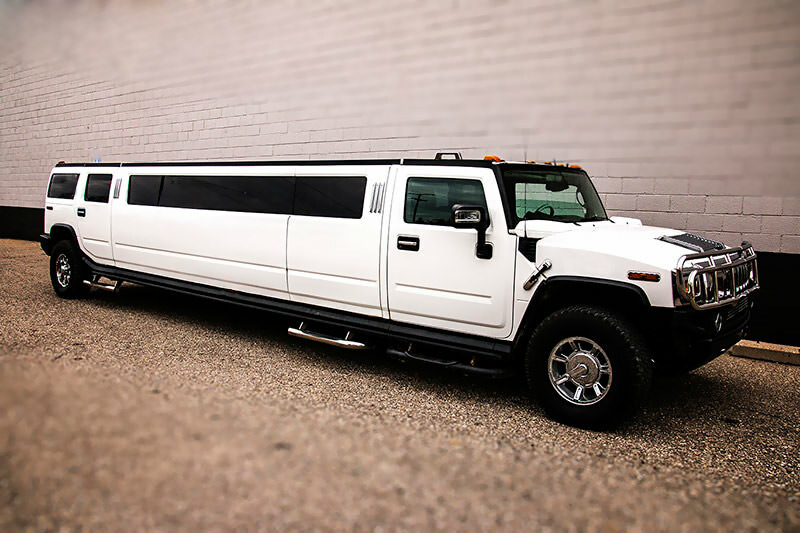 With its gorgeous stream-lined body style and perfect exterior condition, it will surely turn heads at your event! 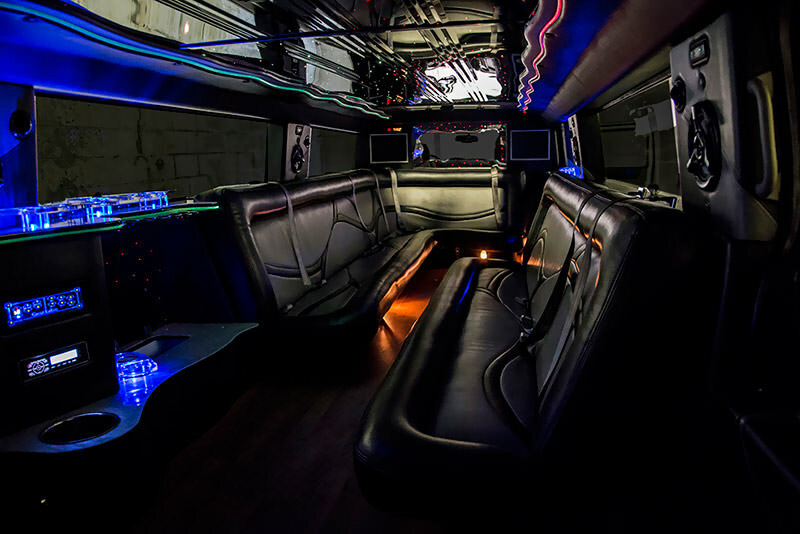 Having a mirrored ceiling, leather seating, two TV's, color-changing lights, built-in coolers and dark limousine tint, it is definitely practical for nearly any usage that you could dream up. It seats up to eighteen and is perfect for the lead in any wedding!